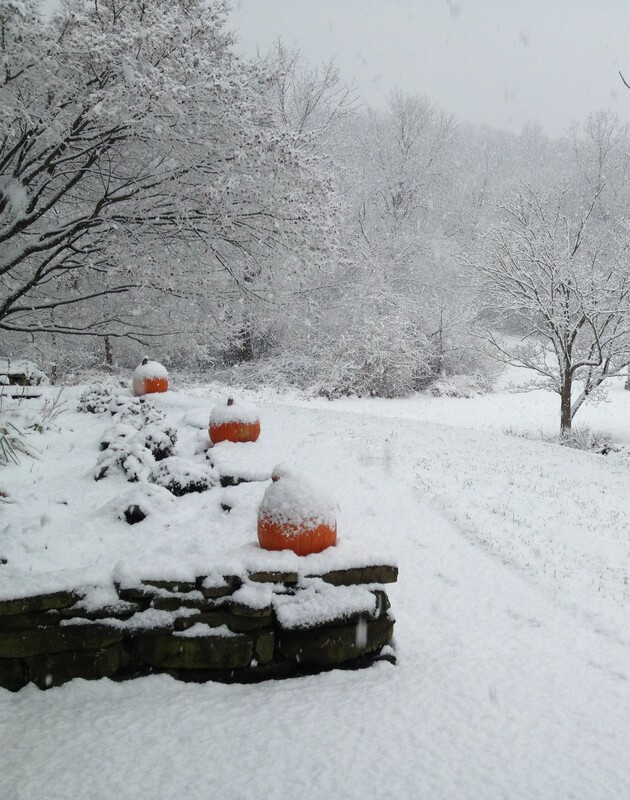 I can understand being sick of the snow around here by March, but if you’re complaining about the first beautiful snow in late November, I just feel sorry for you. This is a terrible thing to say, but here goes: If you hate snow and you hate dogs, I don’t know how we can ever be good friends. I will reluctantly allow you to hate one of those things, but never both. Snow makes me want to bake, and I have my mom to thank for that. It’s hard for me to see snow and not automatically think, “Time to bake some brownies!” By now I have accepted that I have a penchant for the unusual, so when I saw David Lebovitz’s recipe for brownies with crushed Altoids, I knew I’d be incorporating that weirdness into my baking somehow. Sorry, can’t help myself. I combined two different recipes plus my own little touch to create the best snow day brownie ever. I suppose you could omit the Altoids if you want to be boring or if you hate mint or if you don’t happen to have a pack of Altoids laying in your purse, but I really feel like their strong minty freshness adds that extra little touch of specialness to Snow Day Brownies. Preheat oven to 350 degrees. Line a 9 x 13 inch pan with foil and lightly spray with oil. Whisk together flour and salt, and set aside. 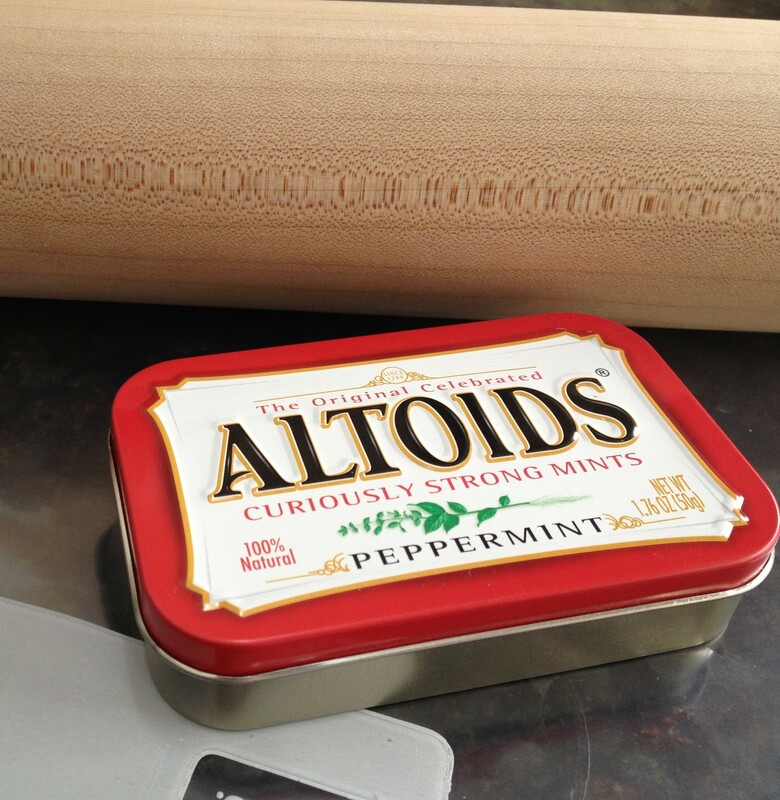 Finely crush Altoids in a freezer bag with a rolling pin (or similar method) and set aside. Over the simmering water of a double boiler, melt butter, chocolate, chocolate chips and instant coffee. Once smooth, remove from heat. In a large bowl, whisk together melted chocolate mixture and sugars until well combined. Add vanilla and four eggs, whisking in one at a time. Gently fold in flour and Altoids, being very careful to not over mix. Spread in prepared pan and bake 30 minutes. Allow to cool completely before cutting. Helpful hint: As soon as these brownies hit the oven, be sure to immediately soak all of your bowls and pans in hot soapy water so that you’re not tempted to consume 2000 calorie’s worth of delicious batter under the guise of “cleaning up.” It’s too late for me, but save yourself. 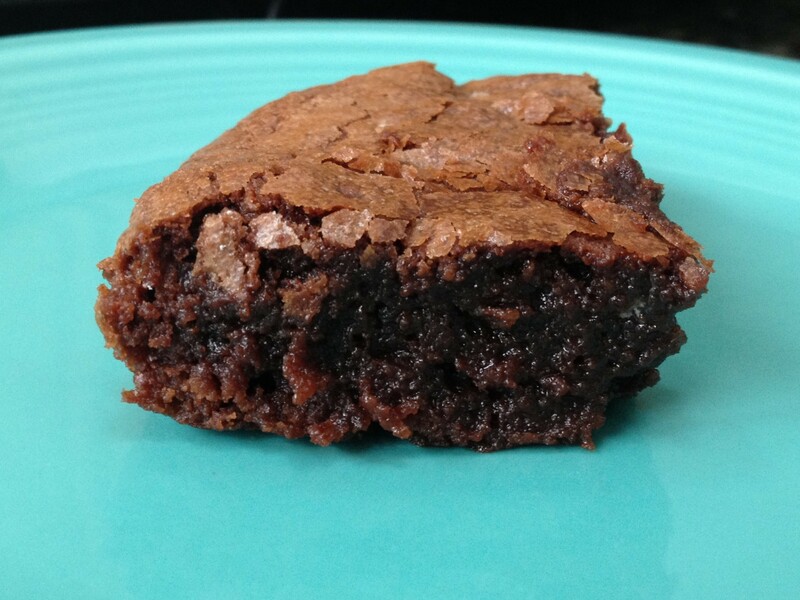 This entry was posted in Desserts and tagged Altoids brownies, mint brownies, snow day brownies by Mom Mom's Apron. Bookmark the permalink.